Pardon my anachronism - we actually saw this on day 5! 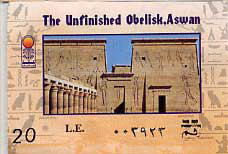 The unfinished obelisk. 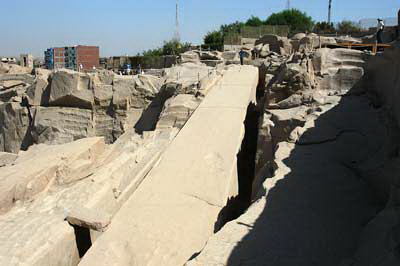 Note the crack in the foreground. 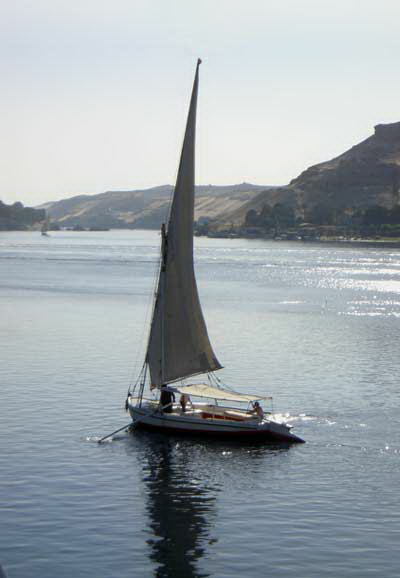 Had it been finished, it would have been rolled downhill to the Nile and put on a barge for the trip to Alexandria, Memphis or Cairo. Most of us took the afternoon to catch up on our sleep before the evening's party. 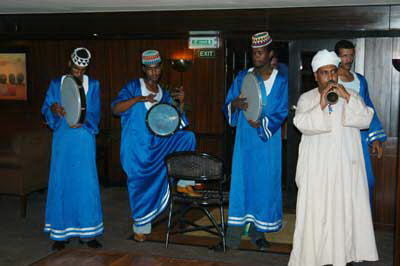 The band, in traditional Nubian costumes. 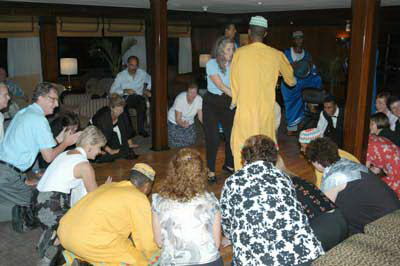 Most of the crew was nubian, Aki tells us, because they are so nice. They are. 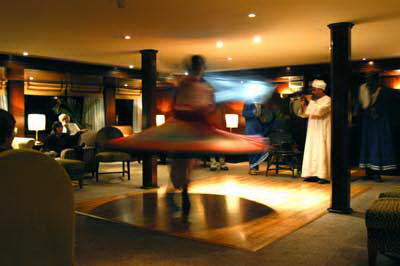 Part of the entertainment was a dance by a Whirling Dervish.